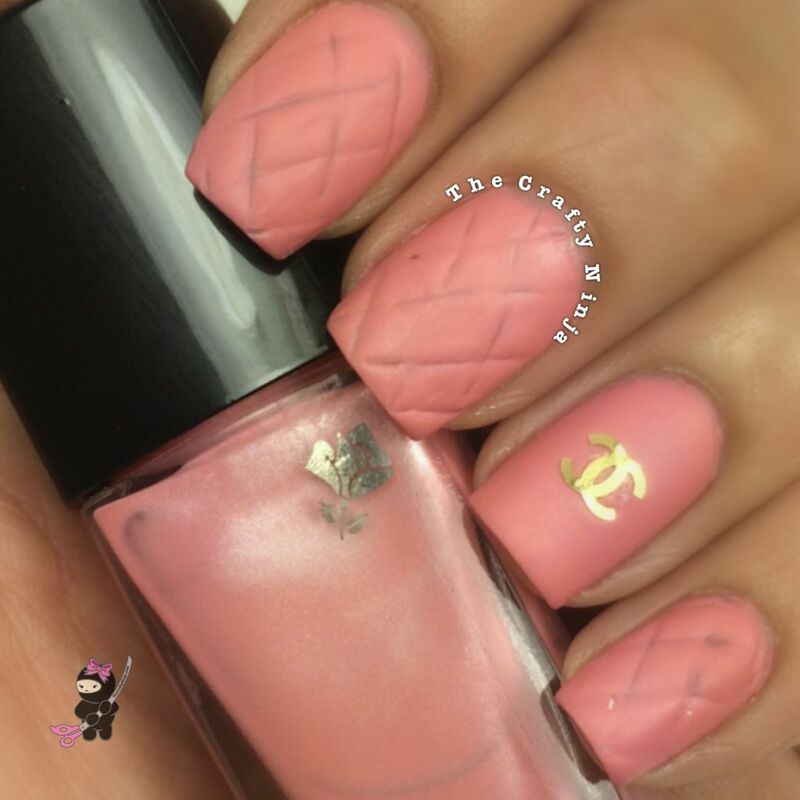 Chanel is my all time favorite luxury brand but unfortunately I am too poor to afford the real thing so here I created the Chanel inspired look on my nails. So fancy huh?!? 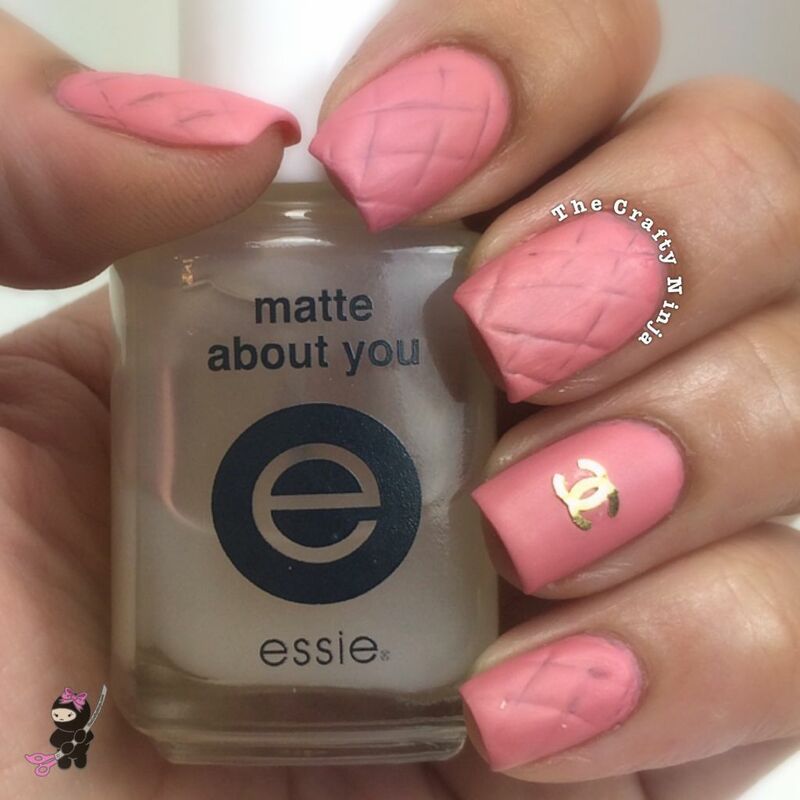 The nail polishes used: Lancôme Rose Plumtis, Sech Vite Fast Drying Top Coat, and Essie Matte About You. Other supplies used: Floss Pick, Chanel nail charm, Nail dotting tool, Nail glue, and Crystal Katana. This was many failed attempts later that I finally got the hang of it. 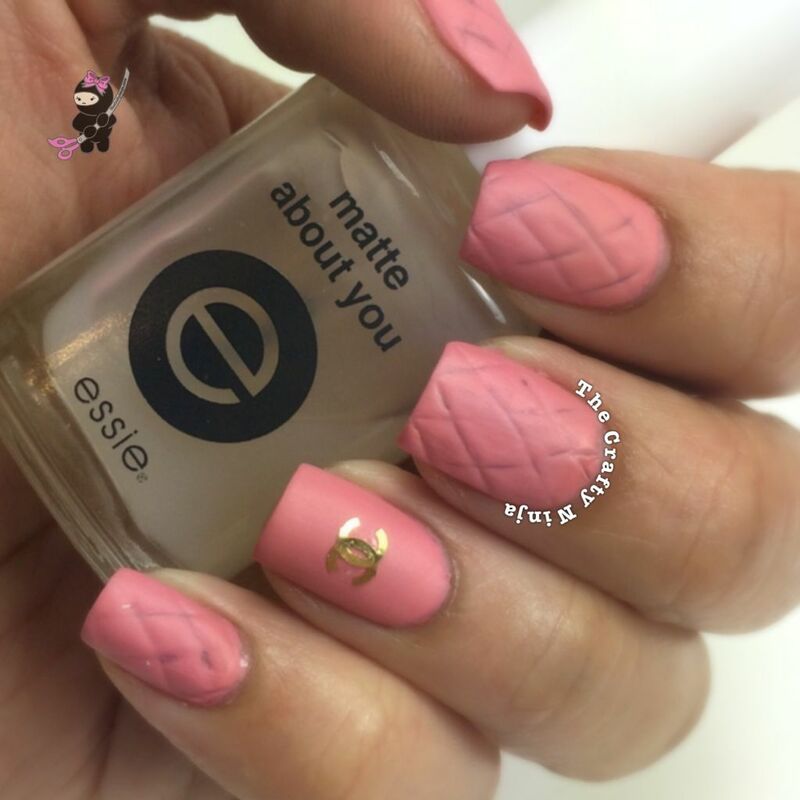 The trick was to apply a clear top coat then the matte top coat over it. 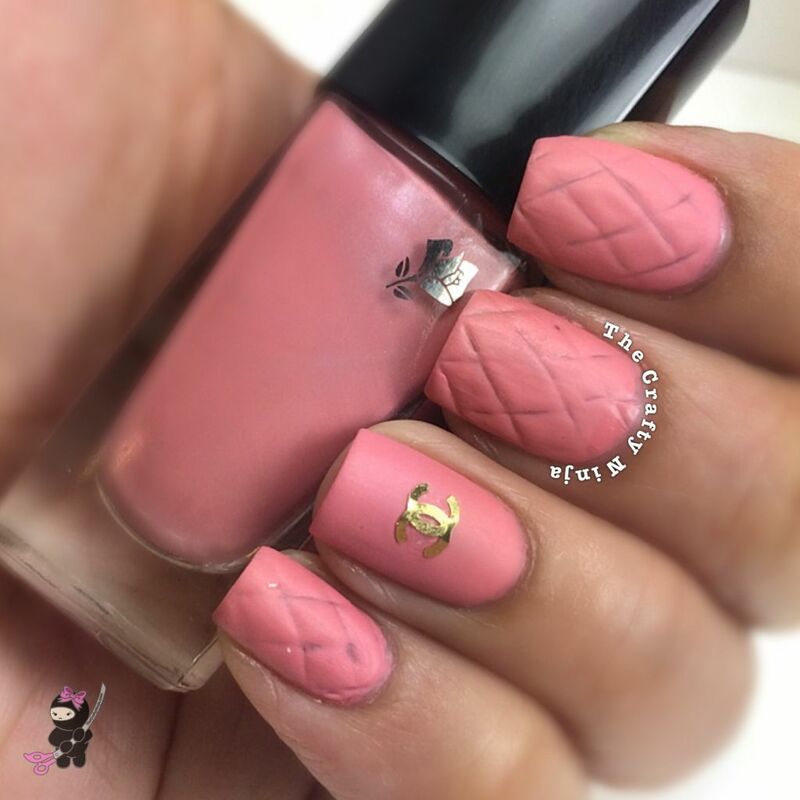 The thickness helped created the indentions that created the quilted effect.